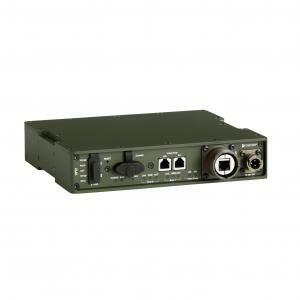 This rugged 19”/2 VoIP Router RM401 gives you a standalone solution in an exceptionally compact package. Being small and tough makes it an optimal solution in a cramped server room, on missions in the field or as a vehicle’s communication unit. The VoIP Router RM401 supports the complete range of industry standard VoIP: SIP, H.323, T.38 fax, fax and modem handling and DTMF relay, along with codecs G.729, G.723, etc. Management is made simple through web-based management, SNMP and a command line interface. It also gives you outstanding interoperability with proven integration for voice and T.38 fax with leading IP PBX systems and soft switch vendors.